The variation of practice with respect to the treatment of the acutely sprained ankle suggests a lack of evidence-based management strategies for this problem. The objective of this review was to assess the effectiveness of the various methods of immobilisation for acute ankle sprain. An electronic database search was conducted using MEDLINE, EMBASE, BIOSIS, CINAHL, Cochrane Controlled Trial Register and Current Contents. 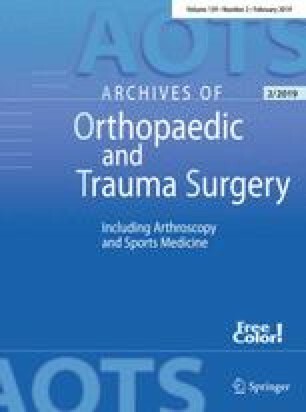 Randomised and quasi-randomised clinical trials describing skeletally mature individuals with an acute ankle sprain and comparing immobilisation for the treatment of injuries to the lateral ligament complex of the ankle were evaluated for inclusion. Two reviewers independently assessed the validity of included trials and extracted relevant data on the treatment outcome. Where appropriate, results of comparable studies were pooled. Individual and pooled statistics are reported as relative risks (RR) for dichotomous outcomes and weighted mean differences (WMD) for continuous outcome measures with 95% confidence intervals (95% CI). Heterogeneity between trials was tested using a standard chi-square test. A total of 22 studies met the inclusion criteria. Statistically significant differences were found for six outcome measures, all in favour of functional treatment compared with immobilisation: return to sports (RR: 1.85; 95% CI: 1.2 to 2.8), (WMD: 4.57 days; 95% CI: 1.5 to 7.6), return to work (WMD: 7.12 days; 95% CI: 5.6 to 8.7), persistent swelling (RR: 1.44; 95% CI: 1.1 to 2.0), objective instability by stress X-ray (WMD: 2.48; 95% CI: 1.3 to 3.6), range of motion (RR: 1.64; 95% CI: 1.1 to 2.6) and patient satisfaction (RR: 6.50; 95% CI: 1.8 to 24) . None of the other results were significantly in favour of immobilisation. Sensitivity analysis showed that a non-concealed treatment allocation did not influence the statistical significance of the overall results. Based on our results, functional treatment currently seems a more appropriate treatment and should be encouraged. Concerning effectiveness, immobilisation, if necessary, should be restricted to certain patients and for short time periods.